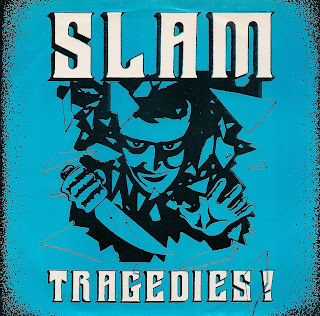 MUSIC NOT NOIZE: SLAM - Tragedies! 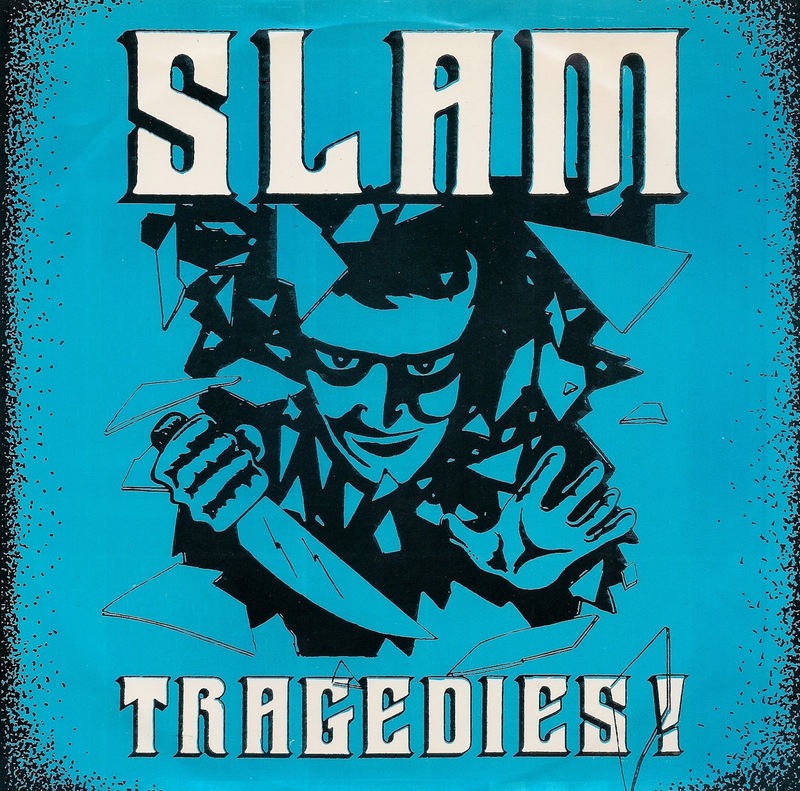 SLAM was apparently considered the earliest of skate-punk bands in Sweden. This is the follow-up single to their great LP "Ingens Slav," and features two solid tracks of melodic and slightly dark mid-tempo punk. 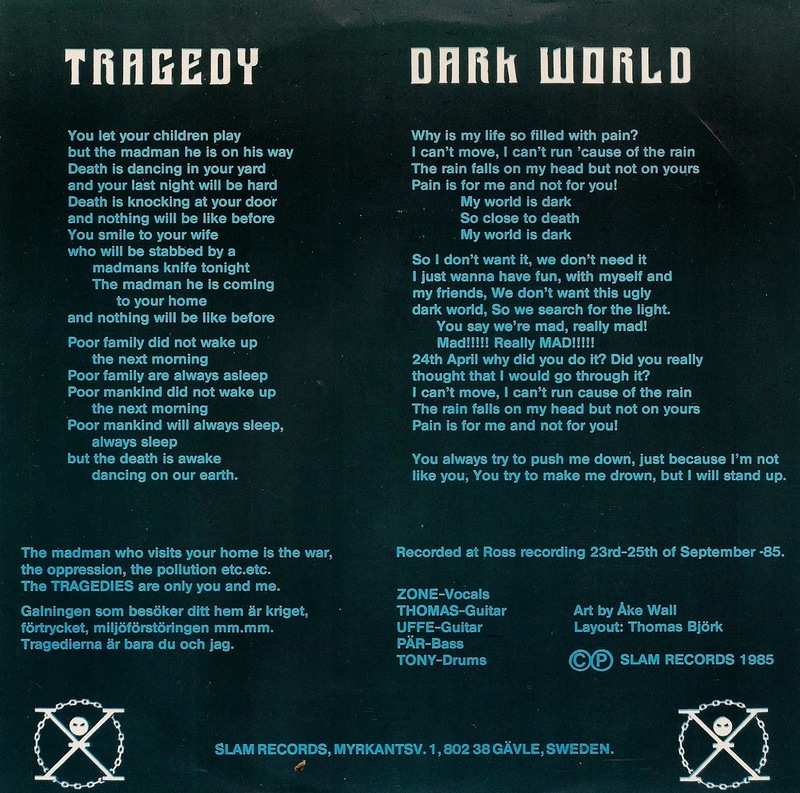 Side A is a regular mix-tape choice of mine, and may be the best song they ever released. 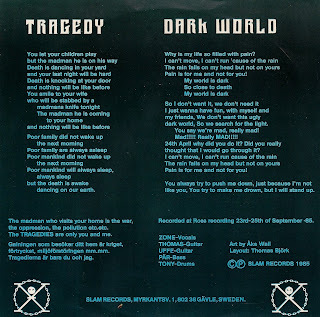 Side B is a little weirder, considering the slower dirges employed as choruses, almost reaching heavy metal territory. Overall a winner in my book, and still easy to find at a cheap price compared to other Swedish punk records of the era!